There’s a new gem in town and it’s dedicated to serving up creative fine dining delights that won’t hurt your pocket one bit! 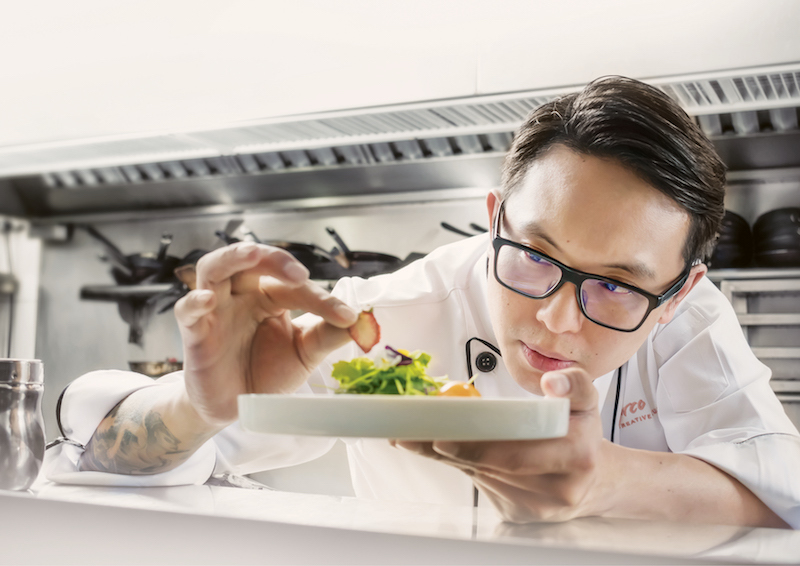 Calling One Utama its home, the mastermind and heart behind Marco Creative Cuisine is none other than Chef Daren Leong (the co-founder of Miam Miam and Franco) who draws inspiration from his heritage (his grandfather is Hainanese) and injects that flair into modern-day gastronomy. Be it as it may that the crowd may flock to this little treasure trove for a 7-course meal that will only set you back RM78 (you’ll need to book them two days in advance as they’re usually full house come dinner) – it’s an experience Chef Daren wishes to introduce to the Malaysian scene. That’s why you’ll notice him mingling around with guests as he greets them with a singular yet very important question: Are you feeling safe or adventurous today? Whichever your answer, there will be a little something for everyone on the menu – although we’d recommend taking the path less travelled as you won’t find such concoctions anywhere else in this land we call home. Setting out on an empty stomach, here’s my take on a gastronomic adventure that will beckon you to return for more. 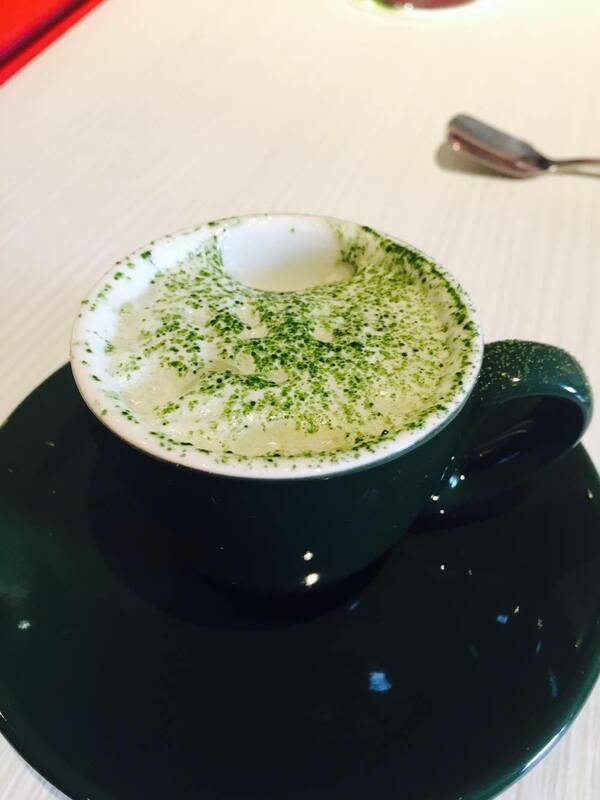 Starting off with a sorbet palate cleanser, this packed a pleasantly cold zesty punch – designated to refresh and awaken the tastebuds so that you may savour what is to come. Putting their own spin on the traditional serving of bread and butter, you’ll find a crunchy base of choux topped with exquisite velvety aubergine caviar that has a distinctly subtle sweetness to it. Topped with a smattering of tomatoes and chili pesto, each bite reveals different depths of flavours. 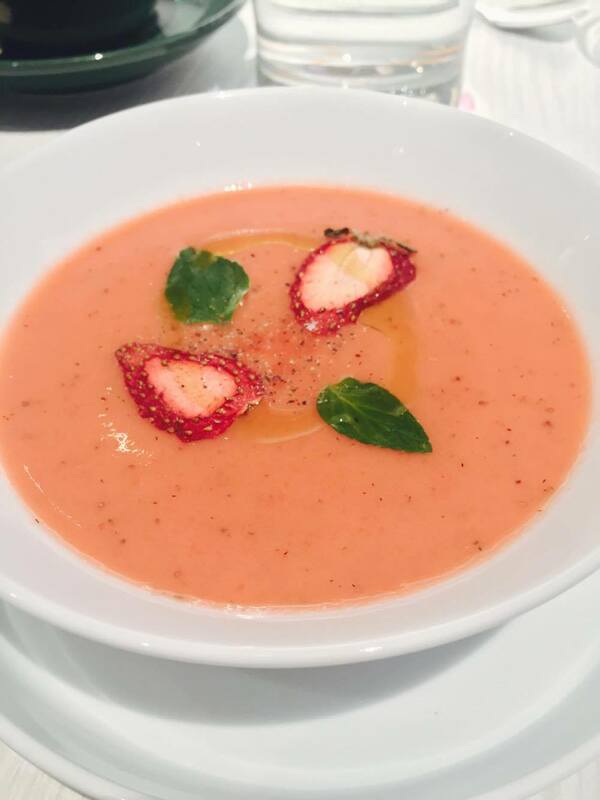 Easily one of the more standout items on the menu, gazpacho is essentially, a soup served cold – a dish undeniably odd to the average Malaysian. Nonetheless, don’t be too quick to judge! Once the jarring sensation settles, you’ll find it mellowing out into a pleasantly rich tanginess that is reminiscent of tomatoes. Although I’m told that there are only Cameron Highland strawberries, cucumbers, capsicums, and microgreens in the mix – which explains its acidity. Vegetarians, rejoice! 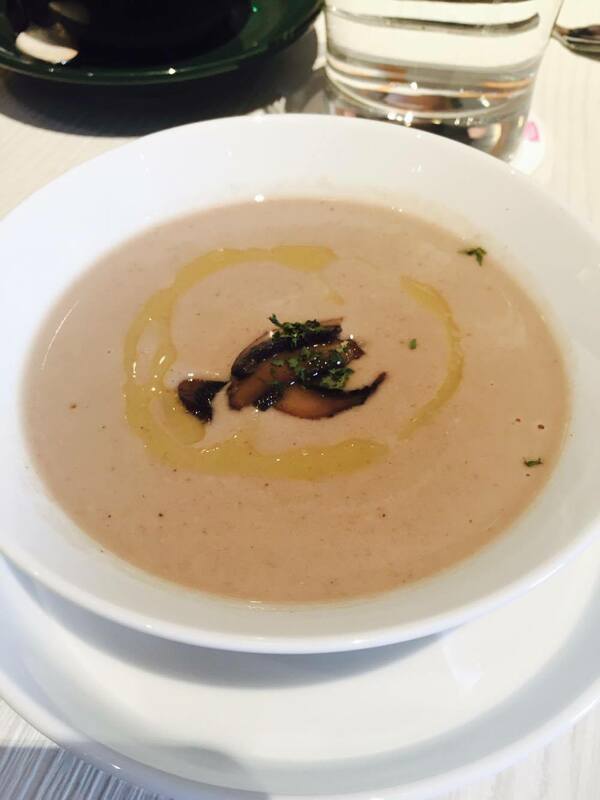 This tummy warmer of a soup is plant-based and the decadently opulent aroma of truffle oil wafting through the air will just about get you salivating. Smooth and creamy, it’s served at just the right temperature to prevent scalding your tongue! Coming with a crackling golden caramelised brulee top, this was without a doubt, my favourite of the bunch! 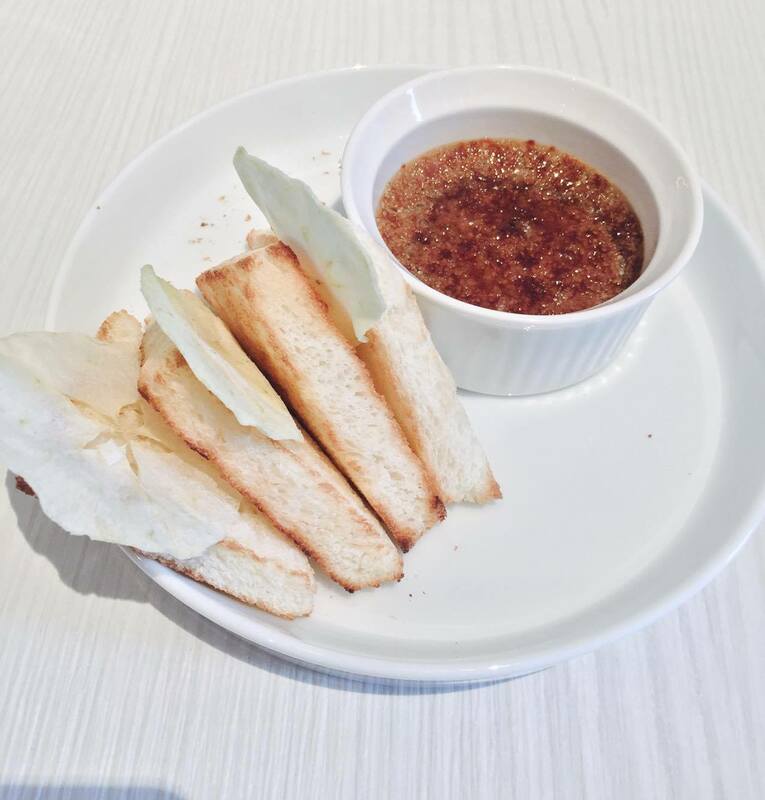 Delicately sweet and lush in texture, it was served with a side of toasted bread and apple chips for added crispness – although between you and me, I would have gladly devoured it on its own. If I had to pick quite possible the most adventurous dish out of my entire experience, this would be it. Aesthetics-wise, it was verdant and vibrant in colour – its plating would tempt even the most purist and classical of foodists to try. 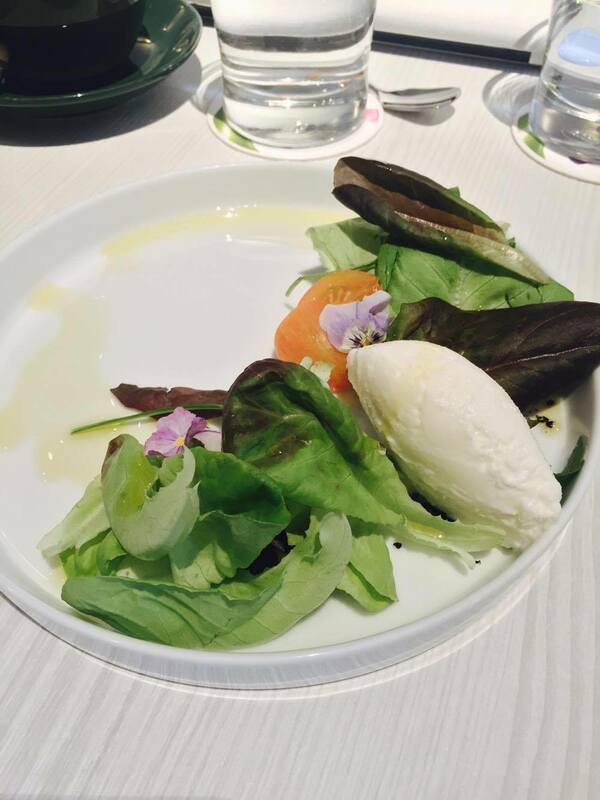 Seated atop a bed of assorted baby leaves, heirloom tomatoes, olive crumbles, and seasonal microgreens, the ice cream had a slight hint of saltiness but was otherwise agreeably milky – a quality I chalk down to making the entire dish work. I’ll be honest, I usually steer clear of breast meat as I tend to find it tough and dry, but I had no such qualms about this one. 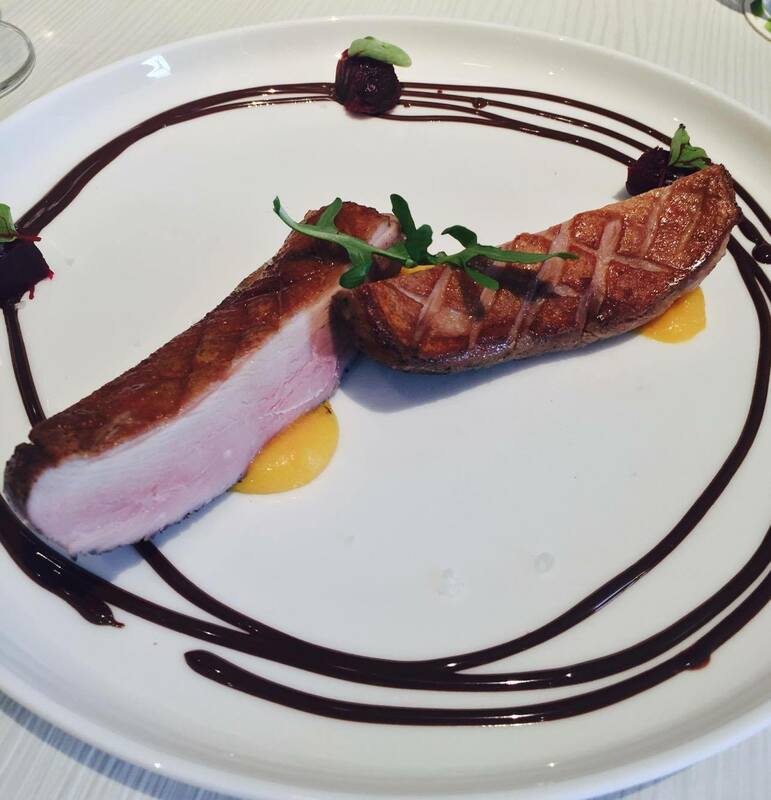 Well-cooked and tender, the orange puree added a zing to the bite while a light smear of Valhrona dark chocolate embellished the flavours with sweet smoky richness. 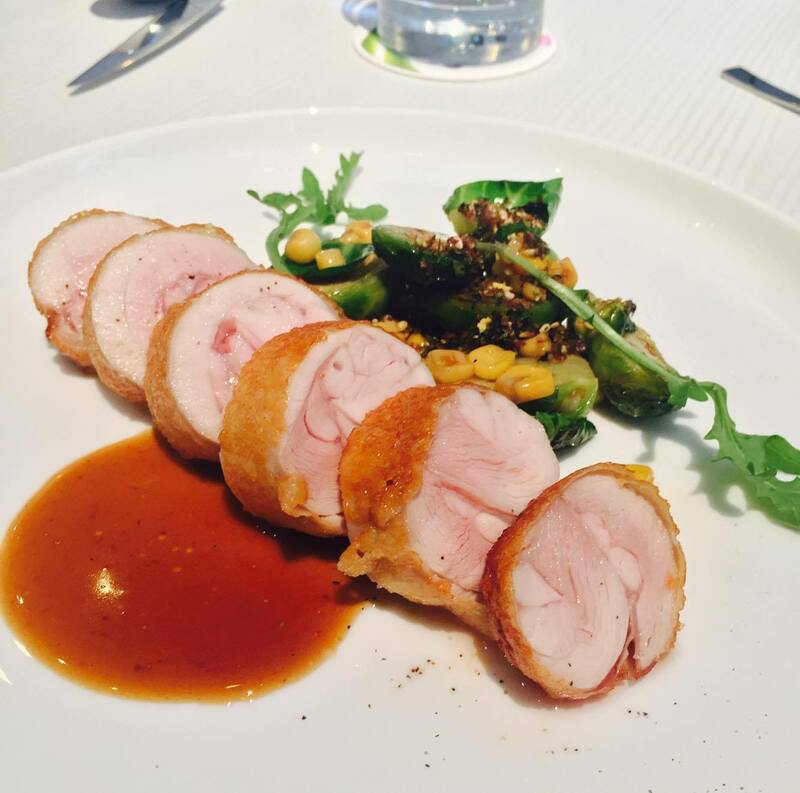 Paired with an interesting story to boot, Chef Daren tells me that this dish was inspired by the Hainanese chicken chop, courtesy of his grandfather! Often served as a huge slab of fried meat, he told me handling it in such a manner would lead to the meat drying out – which explains why it would usually be swimming in gravy. Deciding to prepare the chicken using the sous vide technique, I’m happy to report that the rolls of chicken retained its juiciness, enveloped by a ring of crispy skin – with just a small pool of flavourful Chicken Jus by the side. 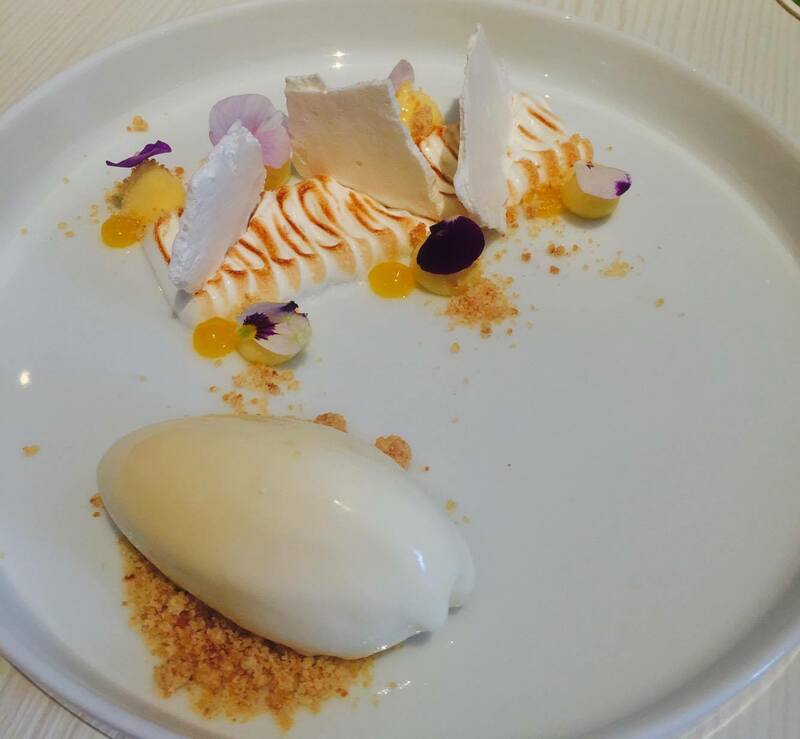 A refreshing dessert that never once borders on cloying, you’ll find lemon curd, passion fruit gel, shards of Italian meringue, and white chocolate sherbet dotted around the plate. 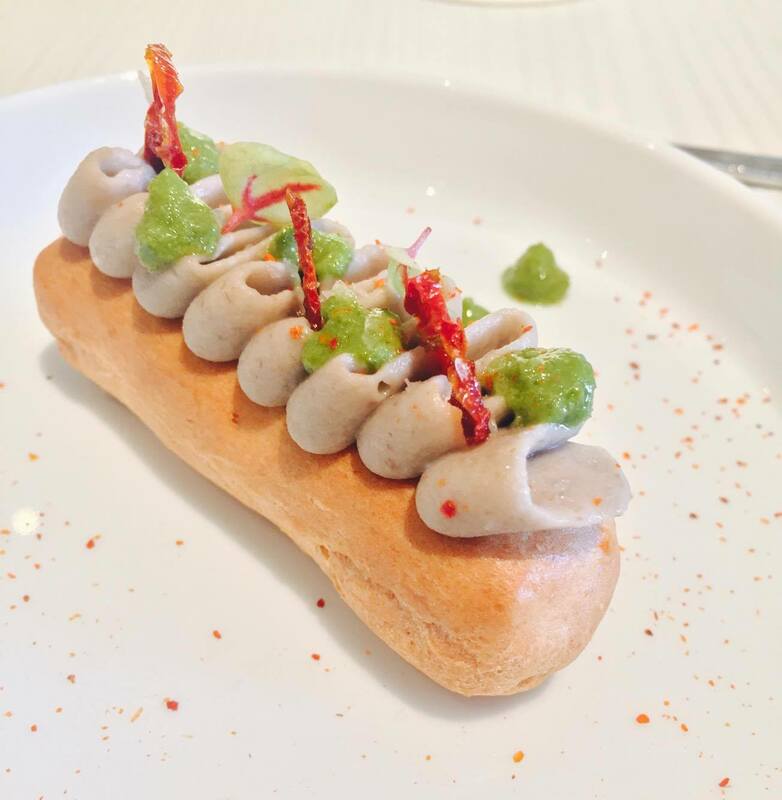 Explaining his vision to me, he wanted to create a dish as such that would enable the customer to play around with the myriad of flavours spread out in front of them. 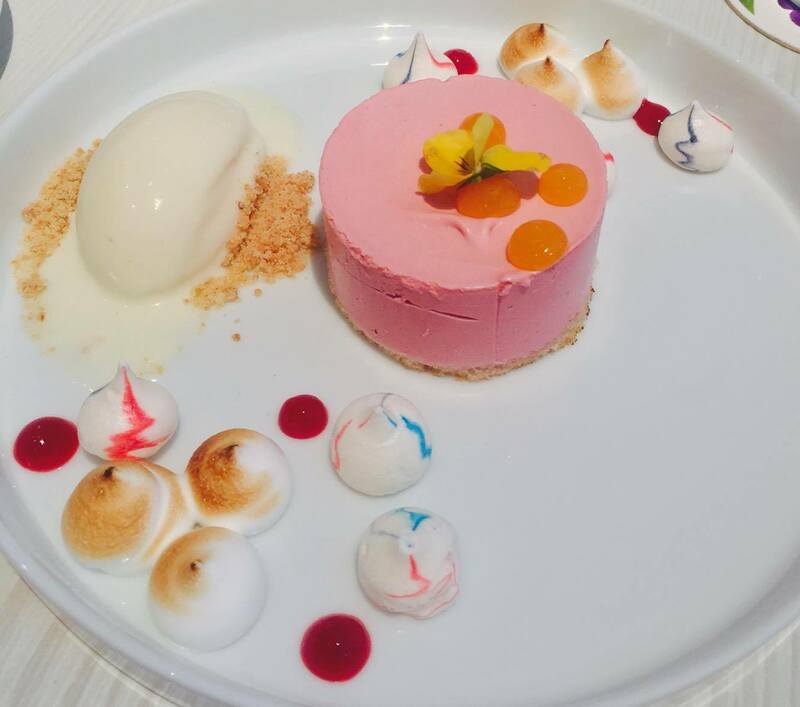 Taking a slight turn for the whimsy and playful, the elements of raspberry cheesecake, meringue shards and kisses, and raspberry and passionfruit gels all make for a lovely pop of colour against the white plate. Sweet and tart all at once, this is a dessert you’ll want to savour slowly and order again upon your next return. 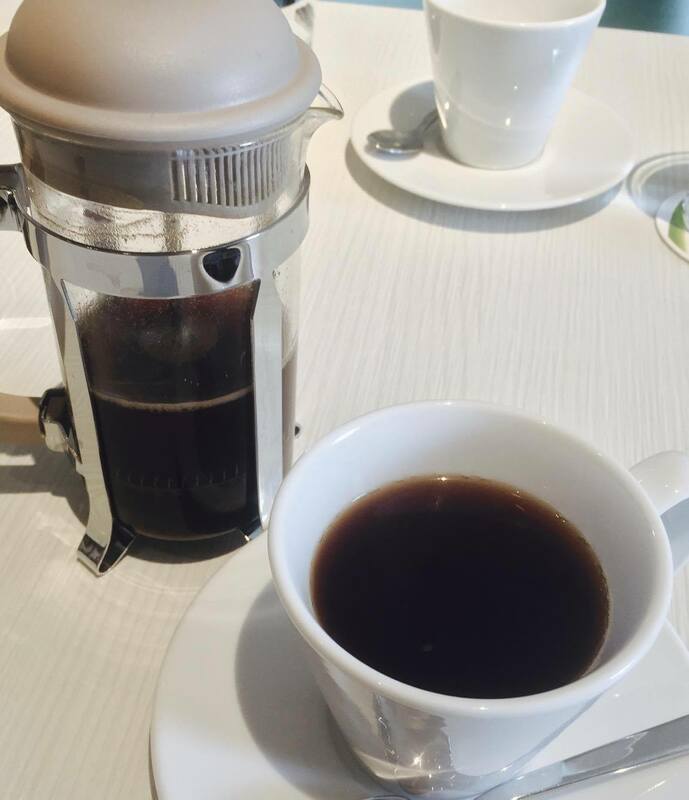 Nothing ends an exquisite meal quite the way a good cuppa coffee does and here at Marco’s, you’ll get a blend of smoky Nicaraguan beans to wash down all that sumptuousness.